This ride takes place in one of the most beautiful and unspoilt parts of the Bulgarian Black Sea coast. In total we cover around 95 km over three days riding. This trail includes a variety of terraine. We ride through vineyards, wheat fields, groves of almond trees and orchards, exploring some little villages and the cave city of Yailata. 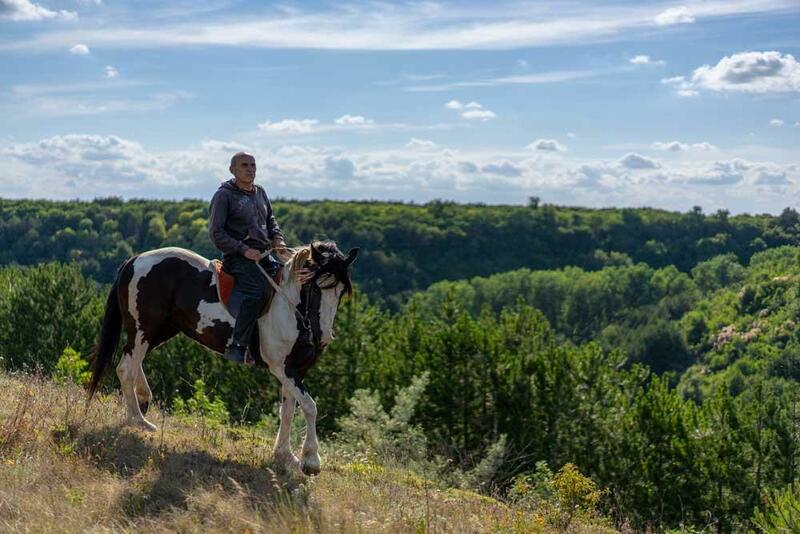 We ride in small groups (up to 6 riders), on cross breeds of East Bulgarian and Akhal-Teke horses, 150-160 cm. The ride is suitable for intermediate and experienced riders as there are good possibilities for trotting and cantering most of the time. Day 1: Arrival. Acquaintance with the horses. 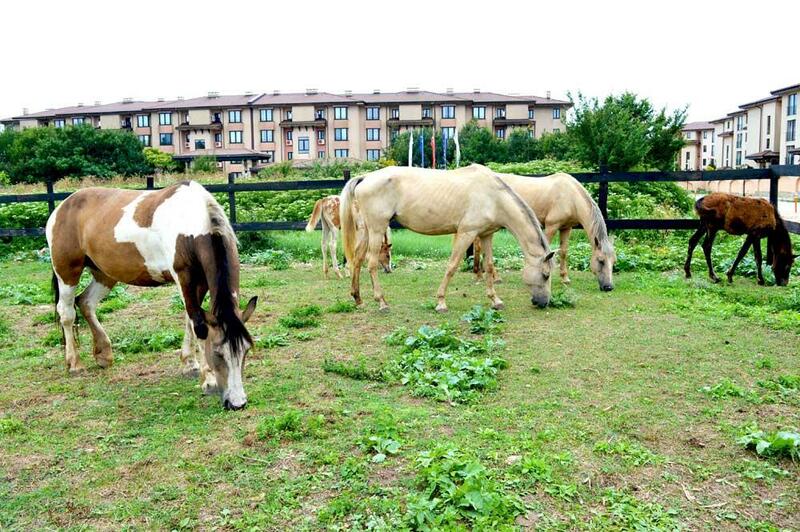 Arrive at our stables and hotel close to the village Topola, just 15 km North East from the town of Balchik. We can arrange pick-up transfers from Balchik or Varna for clients without their own transport. 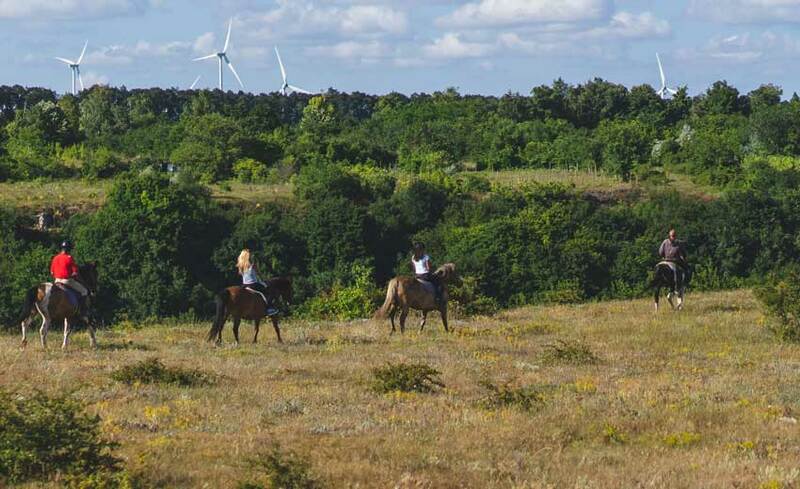 From the stables we head to the North, passing through the villages of Mogilishte, Vidno, Neykovo and Tvarditsa and finishing the day tour in the village of Ezerets, where we have dinner and spend the night in a small hotel. After breakfast we start riding towards the coast and then to the South along the 10 km beach stretching between the village of Krapets and Cape Shabla – the easternmost point at the Bulgarian Black Sea coast. Then the ride continues through the villages of Tulenovo and Kamen Brjag, before we reach Yailata. The area of Yailata was announced as a National Archaeological Site in 1989. Between other archaeological findings, there is “cave city” with more than 100 dwellings dated 500 BC, two Thracian necropolises and the remains of a Byzantine fortress. 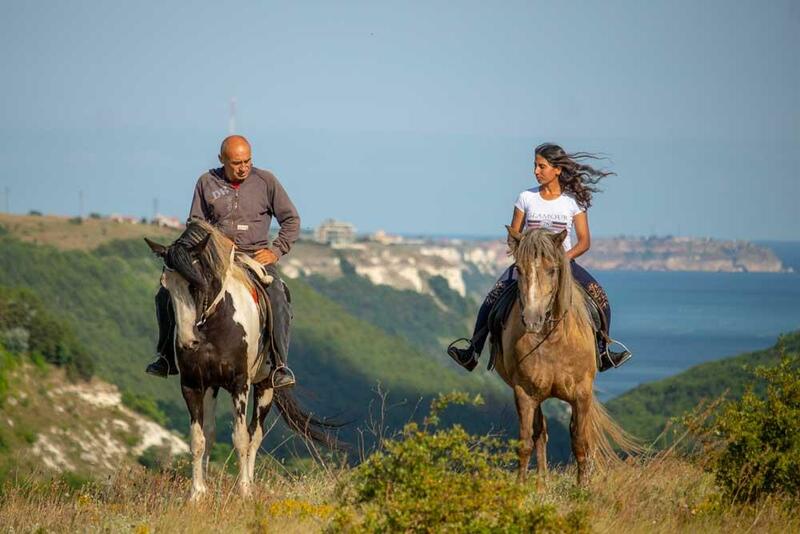 After breakfast we head towards one of the most beautiful beaches on the coast - “Bolata”, then we continue to Cape Kaliakra, where we have a short break with refreshments and walk around (our staff will care of the horses). Cape Kaliakra, a nature reserve, has vertical cliffs more than 70 meters over the sea. Here we can observe dolphins and cormorants. 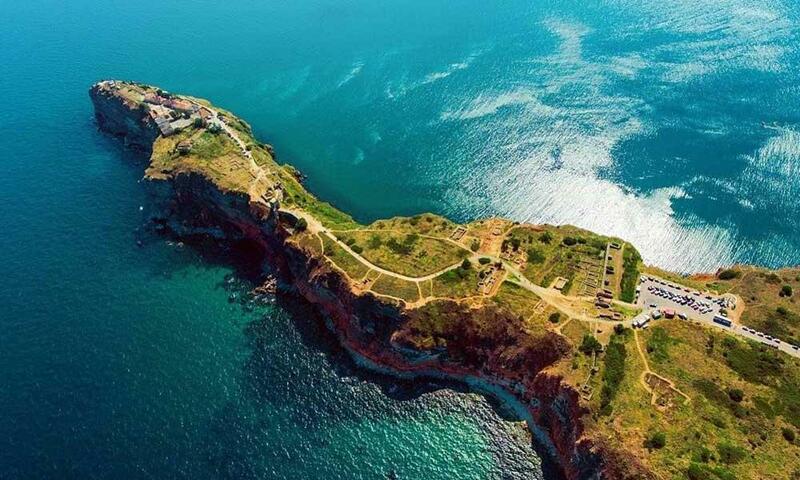 Cape Kaliakra sits on the Via Pontica, a major bird migration route from Africa into Europe. The migrant birds can be seen here in spring and autumn.